In news that can be filed under, “Yeah, We Figured,” the chances of Meghan Markle, now the Duchess of Sussex, returning for the final season of Suits are pretty darn slim. But that’s just one piece of the puzzle when it comes to figuring out who could and would return for the final season, which will be happening during the 2019 – 2020 season, beginning later this year. Speaking at the Television Critics Association press tour and reported by Entertainment Tonight, Suits creator Aaron Korsh addressed whether Meghan would ever return in any capacity for the show’s ninth and final season. “We’re not currently pursuing asking Meghan Markle to leave her position with the royal family and join us. I would love it but I think it’s pretty close to zero,” Korsh told ET as well as other news outlets present. These comments from Korsh should come as no surprise, even to the most casual of royal family followers, Meghan Markle fans and/or Suits viewers. 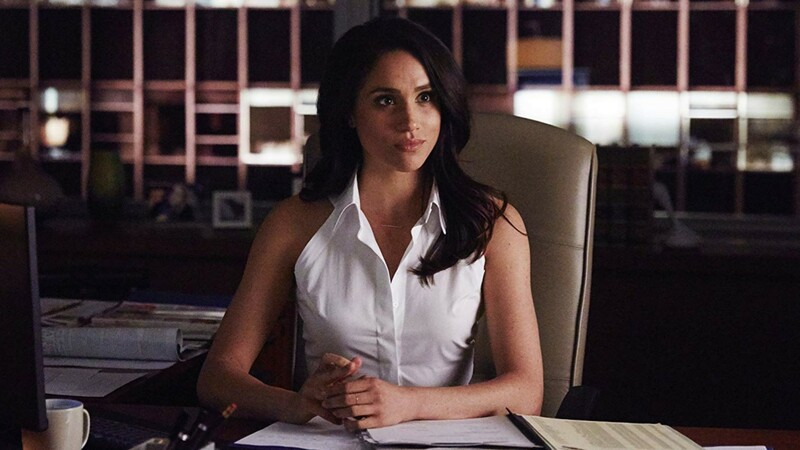 Considering Meghan has had to essentially cut ties with her past life as an actor now that she is a member of the royal family (insofar as she doesn’t do appearances or participate in projects that go outside the royal family’s interest or purview), it’s not surprising the Suits team won’t secure her to do so much as a cameo on the final season. There’s a chance the season will pay homage to her and the character she originated, Rachel Zane, in some way and through other characters, but nothing is confirmed at this time. Psst, Adams and Korsh: The final season is definitely the right time. Y’all should do it. There’s no confirmation yet on what fans can expect from the final season of Suits considering season eight-B is currently underway. But you know we’ll keep you posted as things develop because saying goodbye to this show is going to be very hard to do.